When I was growing up, Villanova wasn’t a blueblood. They were a basketball school–mostly by default, because they won one–let’s be honest, fluky title back in 1985. The Wildcats were a middle-of-the-pack Big East team, coached by an eccentric, seemingly in-over-his-head loudmouth named Steve Lappas (great analyst though). 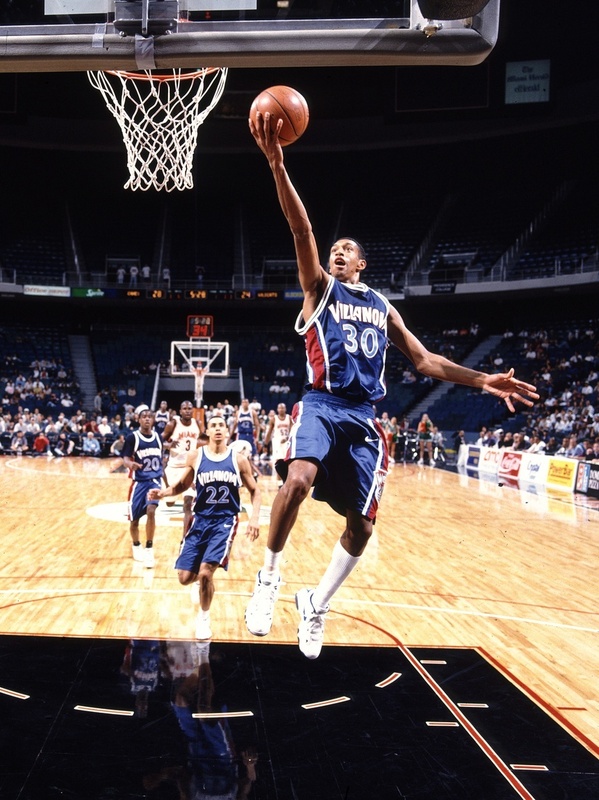 Their best player, Kerry Kittles, sounded like a cereal mascot or something cats took a dump on. (No disrespect, Kerry Kittles was awesome, just saying). They got better when they hired Jay Wright, the Hofstra coach Dickie V called the George Clooney of college hoops–but, nobody feared them. Villanova had a Sweet 16 ceiling. You could never picture them winning the national title. Gradually, that started to change under Wright, and the level of the program seemed to rise each year. By 2004, they’d collected a bunch of good players and were a preseason Top-15 team, until Curtis Sumpter got hurt. In ’05, they made a nice run to the Sweet 16, and could have knocked off eventual national champion North Carolina if not for a horrendous traveling call with 11 seconds to play. I can still see Allan Ray’s face after that one. As painful as that loss was, it just the beginning of something. ‘Nova had a special group coming back in ’06, and they rolled through the regular season at 24-3, earning a No. 1 seed for the first time in school history. A four-guard lineup with Randy Foye, Kyle Lowry, Allen Ray and Mike Nardi caused matchup nightmares, and it looked like the Wildcats might reach the Final Four for the first time since ’85, until they were done in by another group destined for unexpected greatness–eventual back-to-back national champion Florida. Villanova returned to the Final Four in 2009, after an unforgettable shot by Scottie Reynolds, but that tea was overmatched against a juggernaut Tar Heels squad. They lingered around for a few years, had some great regular seasons, and dominated the new Catholic-school Big East, but were regularly bounced early in the NCAA Tournament. 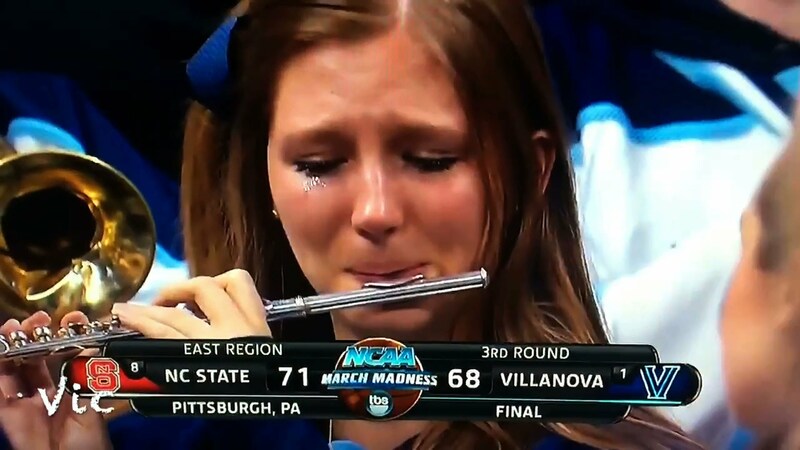 They couldn’t seem to get out of the second round, and their tournament failures were prolific enough to produce the most memorable piccolo player video of all time. Then, all of a sudden, the Wildcats found their tune (sorry, couldn’t resist). Something clicked, and Villanova began playing the game in a way no one else in college basketball was playing it. They were moving the ball, sharing responsibility and knocking down threes like a college version of the Golden State Warriors. They D’d up like the Dubs, too–tough, responsible and resilient–and suddenly, they were more dangerous than ever before. Numbed by all of the early exits, not many saw ‘Nova’s 2016 run coming. 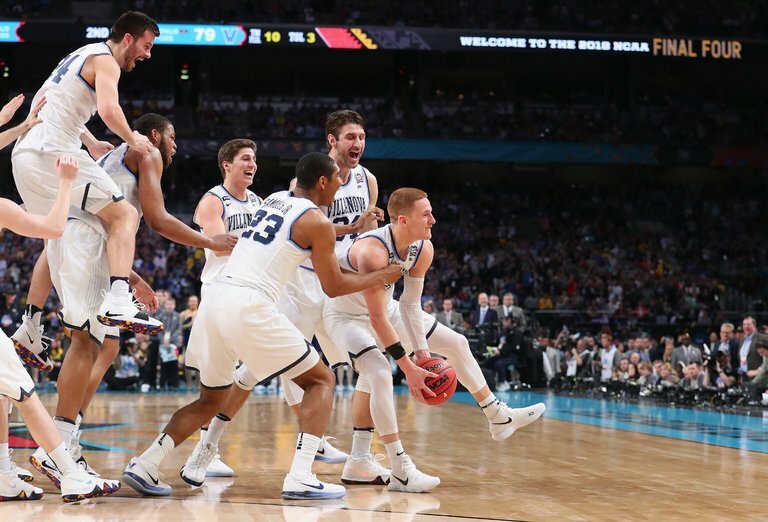 The second-seeded Wildcats stunned Kansas in the Elite Eight, mugged Oklahoma in the national semis, and then survived an incredible comeback by a cagey North Carolina squad to capture the title on one of the most remarkable shots in NCAA history. (You the man, Kris Jenkins). 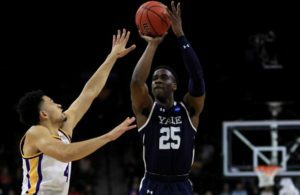 After another early exit last year, you might have wondered while filling out your bracket this March whether or not what Villanova had accomplished was real. 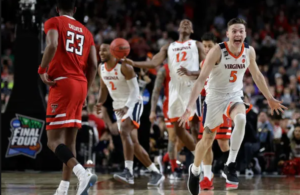 But then, they put it on display, outclassing opponents by 17.6 points per game in this tournament; sending home stud freshman Collin Sexton, taking care of a relentless West Virginia squad and out-slugging underrated Texas Tech. Big East fans knew all about ‘Nova, and none of them were stunned by the performance they put on in San Antonio, on the game’s biggest stage, against Kansas and Michigan, two of the best programs in the country. The rest of the country probably didn’t think it would be a walkover. On Monday night, after their Sixth Man and the Michael Jordan of Delaware put on an MJ-like performance in the national championship game, and in a game that National Player of the Year candidate Jalen Brunson was held to 9 points in 28 minutes, this much is crystal clear: This is, currently, the best program in college hoops. 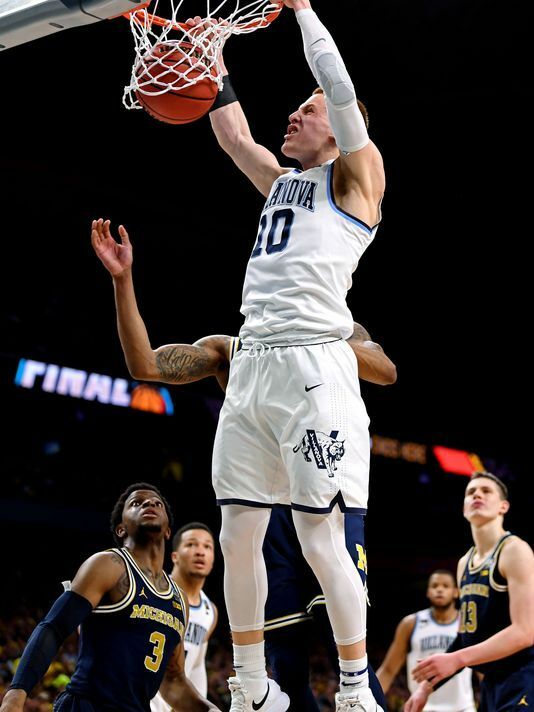 Donte DiVincenzo had 31 points on 10-for-15 shooting and 5-of-7 from deep. He also grabbed 5 boards and blocked 2 shots. In an era defined by one-and-dones and a year plagued by an FBI investigation, and unsavory rumors swinging rampant, it’s refreshing to see this program, led by Wright, one of the game’s authentic good guys, capture the very thing some of these coaches (allegedly) paid high school kids six figures to chase after. Duke can bring in all of the Zion Williamsons and RJ Barretts it likes. Kentucky can suit up a bunch of 17-year-olds with seven-foot-four wingspans. It doesn’t matter. 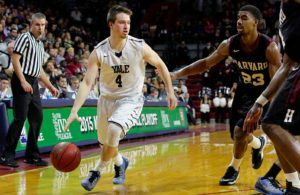 Jay Wright has proven that this style of real basketball, played by real college kids–juniors and seniors, can be championship-caliber. Even better, it’s the most fun to watch. Villanova won its first national championship as an 8-seed back in 1985, after playing “the perfect game” against a powerhouse Georgetown squad no one thought it had a chance to beat. The euphoria of that moment hasn’t left that campus since. Now, 33 years later, the Wildcats figured out once again how to play perfectly, but this time, they were the powerhouse, and nobody else, it turned out, had any chance to beat them. Also see: What would the all-time Big East Standings look like?